After the commercial success of the movie Titanic, directed by James Cameron, there have been many different individuals attempting to recreate the craze of the movie or to simply mock its success in a light-hearted way. 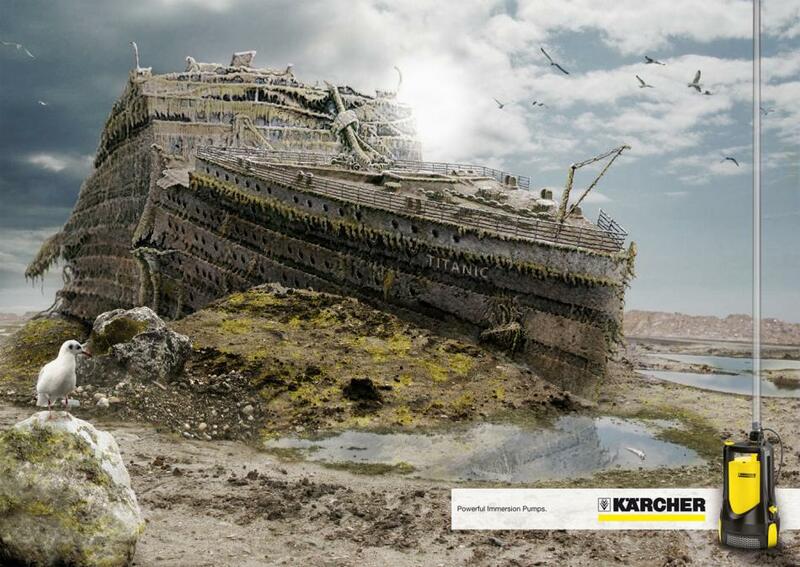 From the riveting release of Titanic 2, to the romance of now old Titanic survivors, these picture show an ability to even turn a large disaster into something that can be viewed in a less tragic and more humorous light. 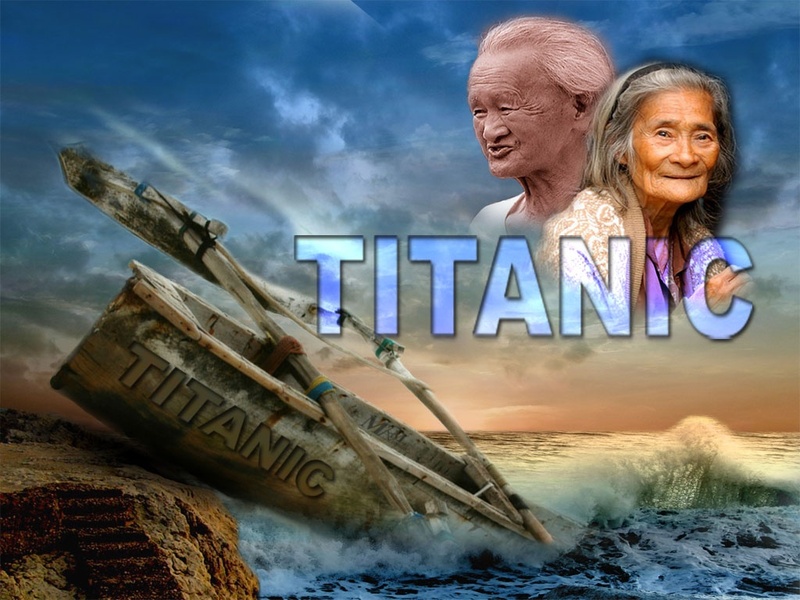 Here are some of the top funny Titanic pictures created by people on the web, or are actually legitimate releases set to appear closer to the Titanic 100th anniversary. 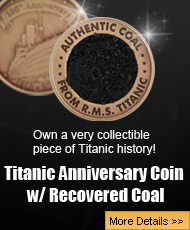 Powerful enough to pump the ocean around the Titanic, this advertisement is the epitome of hyperbole and one of the funniest Titanic pictures available. 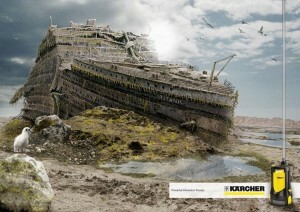 There’s no guarantee that Karcher will actually help you locate and beach the wreckage of the Titanic, they’re simply suggesting that it could be done. What is probably an accurate depiction of what the Titanic survivors would look like nearly 100 years later, this picture immediately strips all of the glitz and glamor out of the original Titanic flick. Perhaps it’s time that people saw what the survivors actually look like instead of actors creating a false image of eternal youth. A rude awakening world; not everyone is as beautiful as Leo DiCaprio and Kate Winslett, meeting a survivor would more likely leave you with these reults. Sequels are often funny in the movie world on their own. Money grabbing titles that generally don’t offer as much creativity or entertainment as the original, sequels often lack contingency and simply don’t have as much time or production put into them. 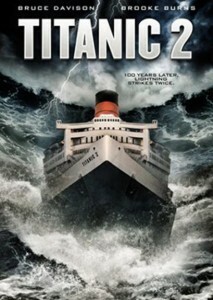 Perhaps one of the most hilarious conceptions of a sequel are those of the Titanic. Those who know a single thing about the Titanic are aware of how the first story ends; and that leaves little room for a second story. Or so we thought. 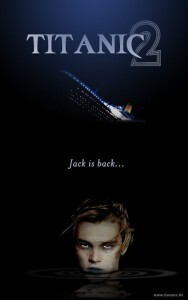 According to an article in Perez Hilton, there is an actual studio film in the works based on the story of the Titanic. The film will apparently take place in modern day and involve a group of people on the Titanic racing against the clock in order to avoid the fate of the original vessel. Aside from the almost certain legal backlash from jillionaire director James Cameron, did the producers of this movie stop to think how ludicrous this sounds? The first Titanic sinks; end of story. Why make a second one and drive into the same area where over 1,000 lives were lost? I guess it’s up to them to show us. A less serious and quite possibly a better idea for a movie than the Titanic sequel that is in the works, this movie suggests the aftermath of the sinking of the Titanic and the death of the main character of the movie Jack. What if the ocean was not his final resting place and he returned as a flesh eating ghoul hell-bent on, revenge against the people responsible for his demise. The largest grossing film of its time and quite possibly the “Gone With the Wind” of the 90′s, Titanic shows the romance side of the tragedy, while Titanic 2: Jack Is Back can show the more gruesome and demonic side of the tragedy. I can think of a few people who would go see it. to me i think i would go see the movie ( titanic 2 jack is back) only if it was real. But the people said it was not a real movie. Also i love the ship titanic i think it is awsesome!!!!!!!!! Well that’s dumb.He died! I mean hewould be crushed by water pressure, and he would drown if he came back to life a zombie.But i’ll go to check it out. are you trying to make fun of the movie?